With the 1960s reference in the models’ up-do, and the silhouette as sultry as it could get, it was easy to imagine a young and smoldering Sofia Loren wearing all the pieces from the Barbara Tfank Fall 2014 collection. Known for her use of luxury fabric, Barbara Tfank captured the predominant trend of European aesthetics that have been very prominent this season in New York. But, Barbara Tfank did it her way. Inspired by the still-life paintings of Italian-born veduta artist Francesco Guardi, the collection is intrinsically opulent and majestic. 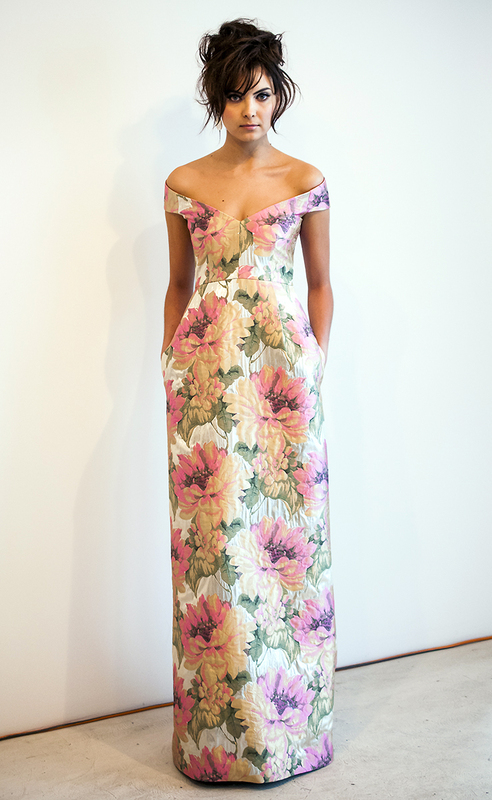 The bigger than life floral prints, the hourglass silhouettes and shawl necklines are not for the faint of heart. These are for women, who, like Sofia Loren instinctively understand their allure and not afraid to flaunt it.